Nutrient Products: Stabilizers, Enhancers, Safeners, Biologicals and so on. 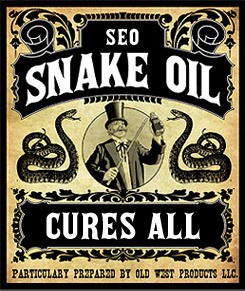 In this blog I am not going to tell you what to use or what not to use. In fact I will not mention a single product name. What I will do is hopefully provide some food for thought, new knowledge and direction. The truth is Everything works Sometimes yet Nothing works ALL the time. I and others in my profession do not expect anything to work 100% of the time, I am personally looking for something that will provide a checkmark in the win column 50% of the time. A win is the result of one of two things, more money in the producers pocket or less nutrients in the water or air. 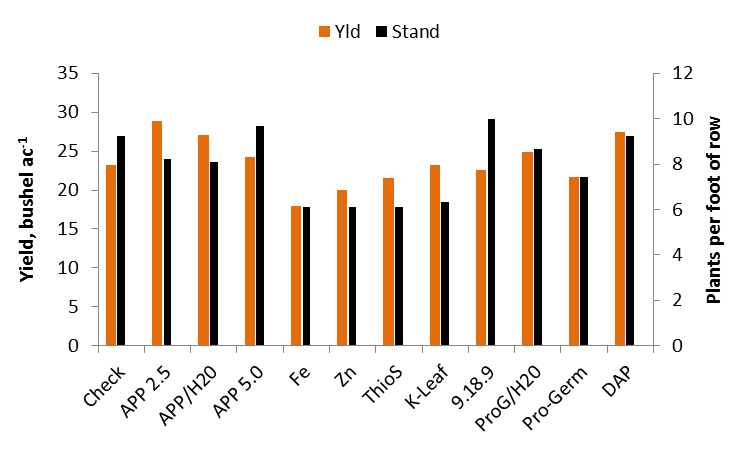 Products can increase vigor, nutrient uptake, chlorophyll concentration, greenness but not yield. What Co-op or elevator pays for any of those attributes? Grain makes green. So many safeners, stabilizers, enhancers, biologicals, and on and on are available, so what should a producer do? Here are few things to think about. 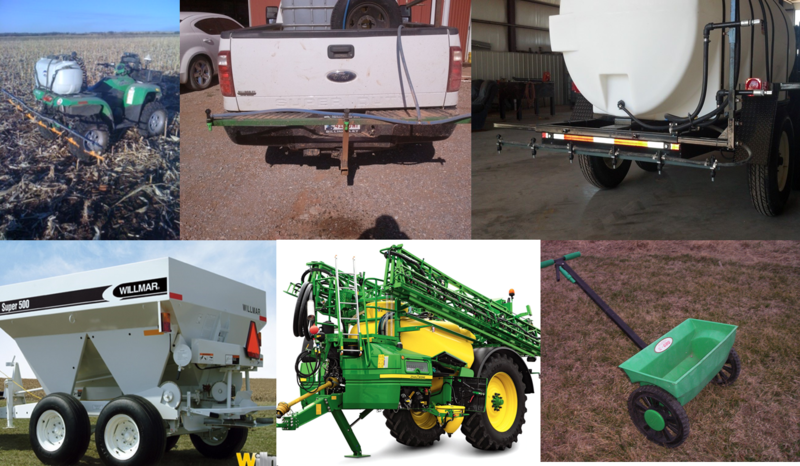 Ask yourself “ what part of my nutrient management plan can I get the most bang from improving”? If the answer is Nitrogen (N) there are three basic categories: Urease inhibition, Nitrification inhibitor, and slow release. All are methods of preventing loss; the last two are preventing loss from water movement. Urease inhibitors prevent the conversion of Urea to NH3 (ammonia). This conversion is typically a good thing, unless it happens out in the open. 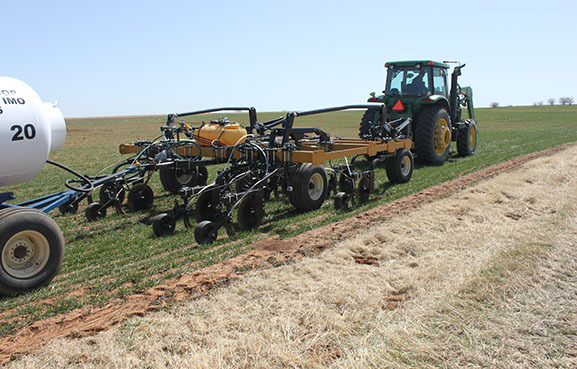 Ideally any urea containing product is incorporated with tillage or rain. 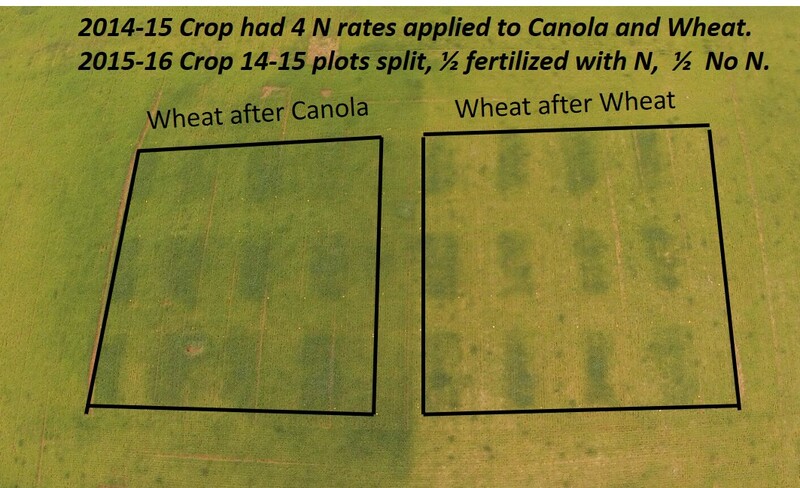 However, in No-till when urea is broadcast and no significant rainfall events (>0.5”) occur, N loss is likely. The urea prill starts dissolving in the presence of moisture, this can be a light rain or dew, and urease starts converting urea into NH3. As the system dries and the day warms, if there was not enough moisture to move the NH3 into the soil the wind will drive NH3 into the atmosphere. Nitrogen loss via this pathway can range from 5% to 40% of the total N applied. 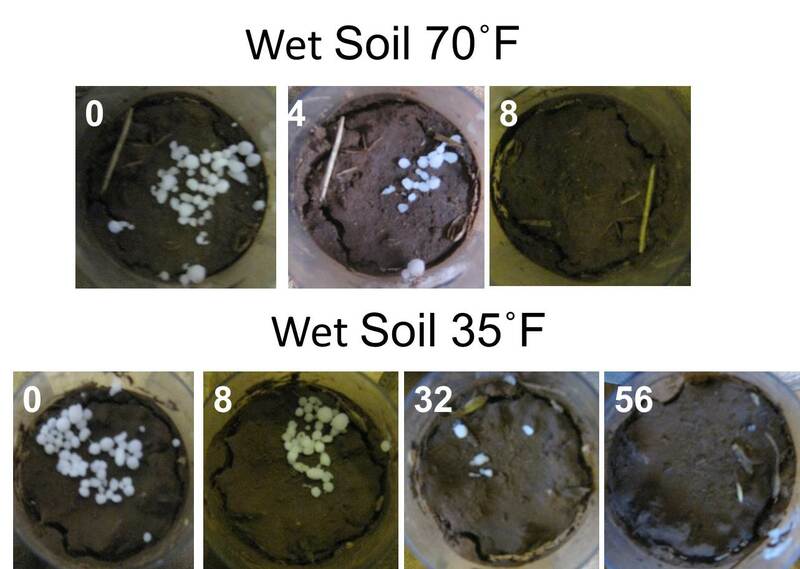 Urea placed on a wet soil under two different temperatures. Number in white is hours after application. 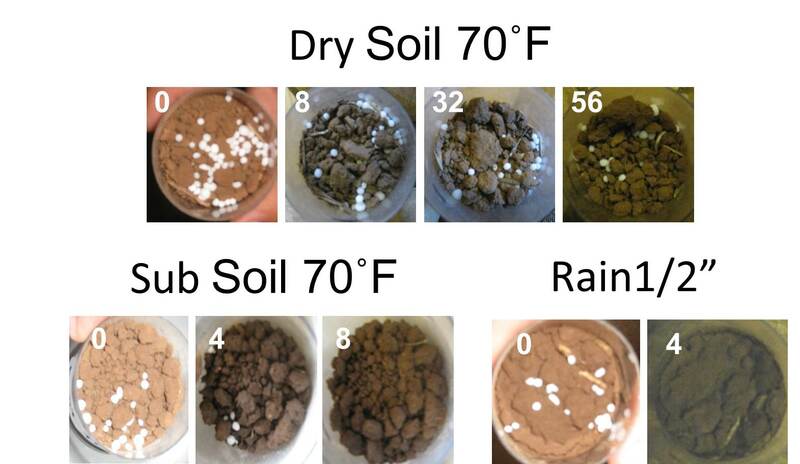 Urea placed on a dry soil, on top no water added, bottom left is moisture from the subsurface, and bottom right is simulated rain fall of 1/2″. Number in white is hours after application. Nitrification inhibitors prevent the conversion of NH4 into NO3. Both are plant available N sources but NH4 is a positively charged compound that will form a bound with the negatively charged soil particles. Nitrate (NO3) is negatively charged and will flow with the water, in corn country that tends to be right down the tile drainage. 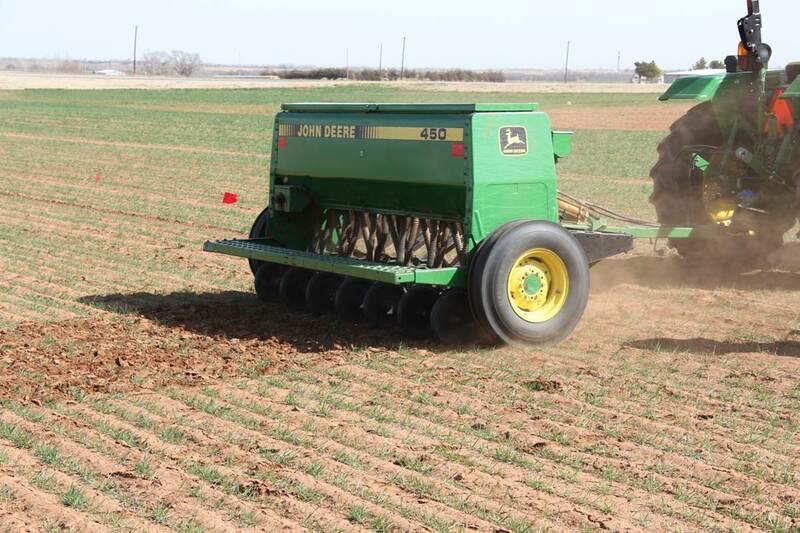 Nitrate will also be converted to gasses under wet water logged soil conditions. 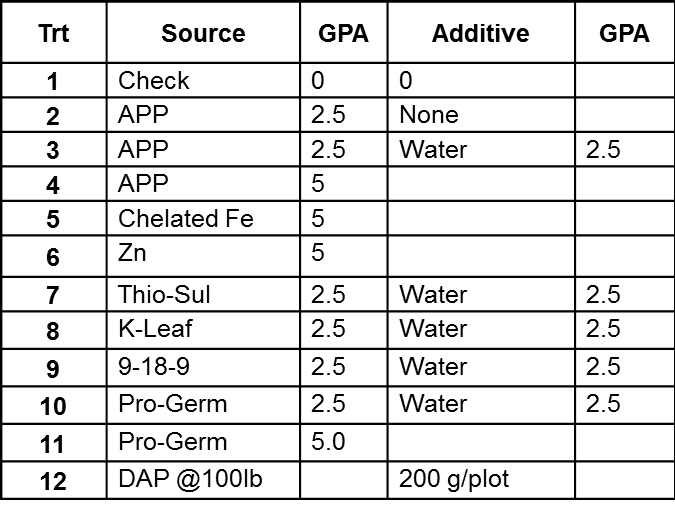 Nitrate is lost in the presence of water, this means I do not typically recommend nitrification inhibitors for western OK, KS, TX dryland wheat producers. Slow release N (SRN) comes in a range of forms: coated, long chain polymer, organic and many versions in each category. Again, water is the reason for the use of SRN sources. Slow release N whether coated or other have specific release patterns which are controlled by moisture, temperature and sometimes microbes. The release patterns of SRNS are not the same and may not work across crops and landscapes. For instance in Oklahoma the uptake pattern of nutrients for dryland corn in the North East is not that same as irrigated corn in the West. 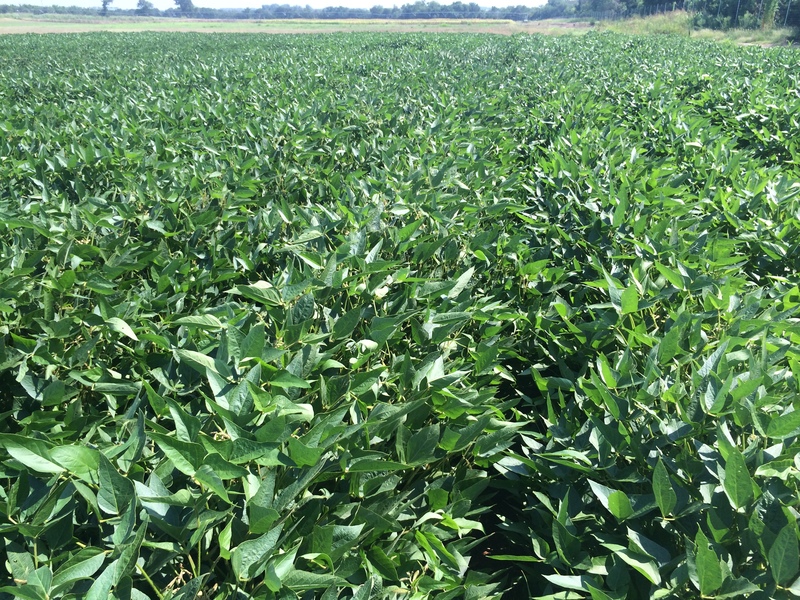 The little nuances in the growth pattern of a crop can make or break your SRN. 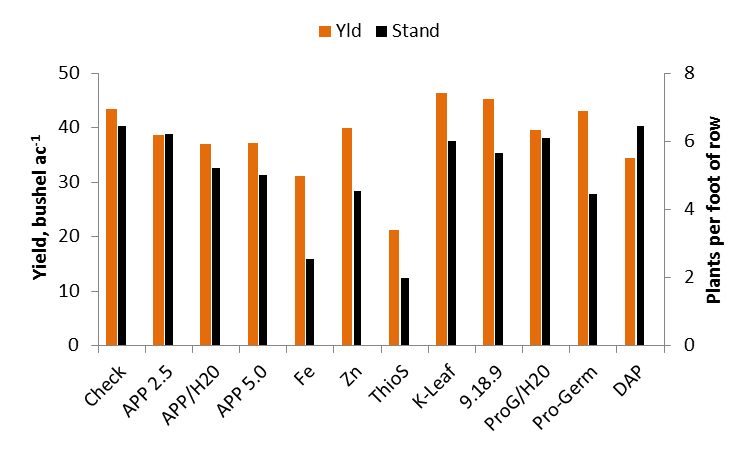 While N products have been on the market for decade’s phosphorus enhancers and stabilizers are relatively new, resulting in many of my peers holding back on providing recommendations until field trials could be conducted. At this point many of us do have a better understanding of what’s available and are able to provide our regional recommendations. Phosphorus products are not sold to prevent loss like their N counterparts; they are sold to make the applied P more available. On a scale of 1 to 10, P reactivity with other elements in the soil is a 9.9. If there is available Ca, Mg, Fe, or Al, phosphorus is reacting with it. 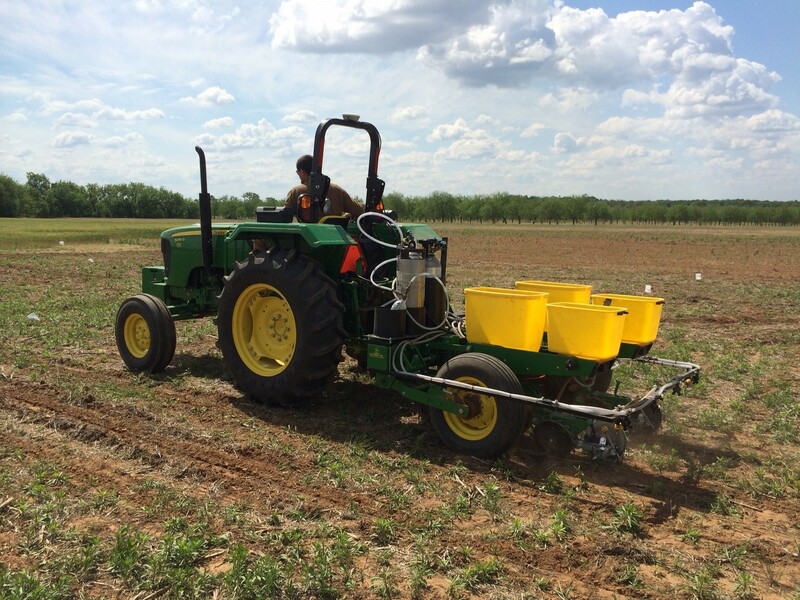 In the southern Great Plains it is not uncommon for a soil to have 3,000-5,000 lbs of available Ca, a soil with a pH of 4, yes we have many of those, will have approximately 64,000 lbs of Al in the soil solution. That’s a lot of competition for your fertilizer P and for any substance that is trying to protect it. I have been testing “biologicals” of all shapes and forms since 2003. While I have not hit any homeruns I have learned quite a bit. 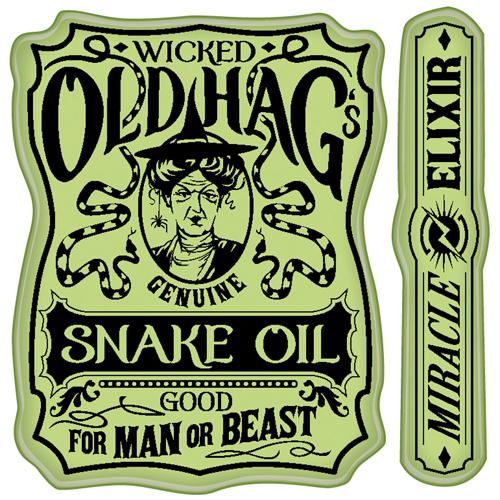 Many of these products originate from up north where the weather is kind and organic matter (OM) is high. Where I work the average OM is 0.75% and soil temp is brutal and unforgiving. Our soil does not have many reserves to release nor is it hospitable to foreign bodies. 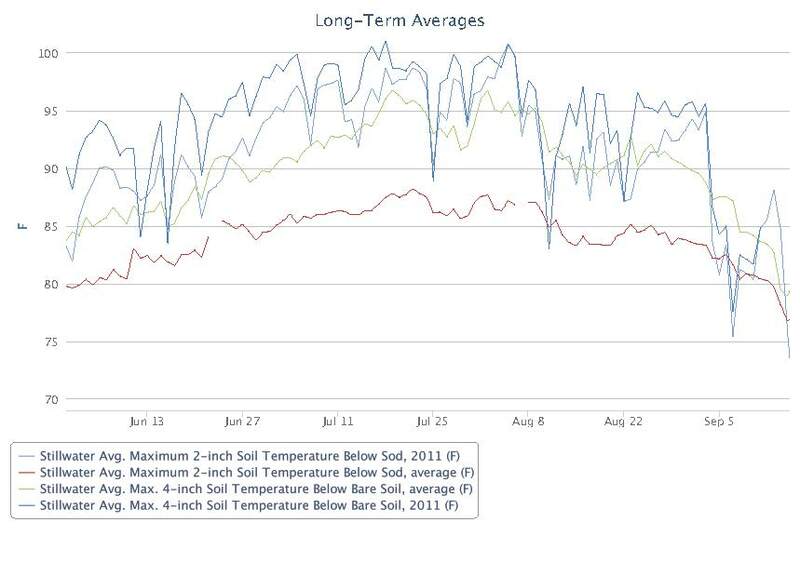 Soil temperature for Stillwater OK under sod and bare soil conditions. Graph from http://www.Mesonet.org. I hope you are still hanging on as this next topic is a bit of a soap box for me. Rate, Rate, Rate this aspect is missed both by producers and academia and it drives me crazy. 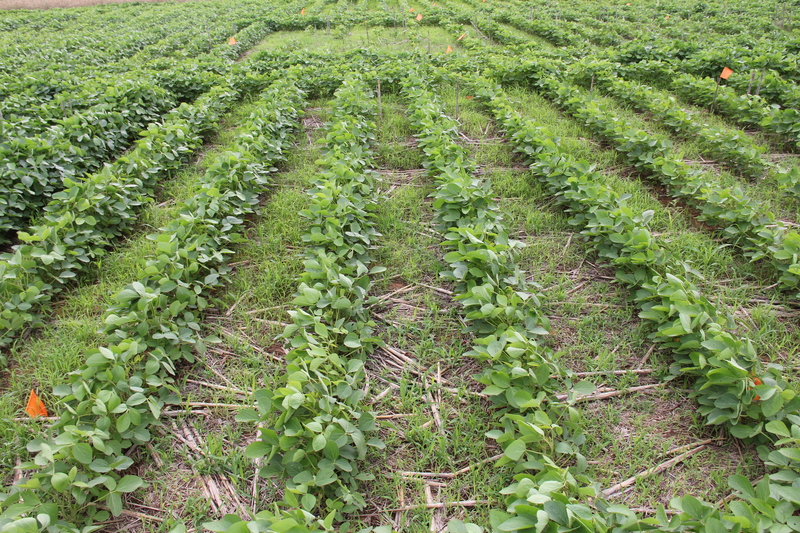 If your crop is sufficient in any growth factor adding more will not increase yield. It goes back to Von Liebig’s LAW of the Minimum. 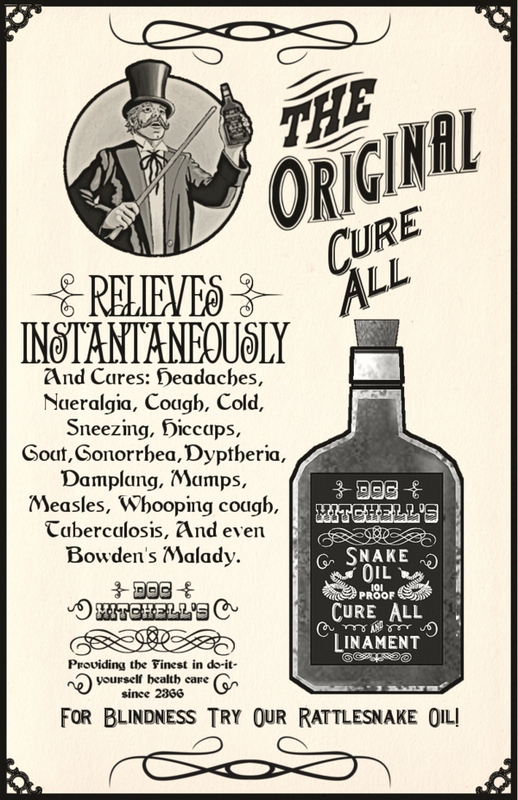 I see too many research studies in which products are tested at optimum fertilization levels. This is just not a fair comparison. On the other hand, time and again I see producers sold on a product because they applied 30% less N or P and cut the same yield. If you let me hand pick 100 farms in Oklahoma I could reduce the N rate by 30% of the average and not lose a bushel on 75 of the farms. Why? Because the rate being used was above optimum in the first place, there is no magic just good agronomy. The list of products that increase the availability of nutrients is a mile long. Increasing nutrient availability is all well and good if you have a deficiency of one of those nutrients. If you don’t, well you have increased the availability of something you did not need in the first place. University researchers and extension professionals seem to live and die by the statistics, and are told so regularly. We do rely upon the significant differences, LSD’s, and etc to help us understand the likely hood of a treatment causing an effect. However if I see a trend develop, or not develop, over time and landscape regardless of stats I will have no problem making recommendations. The stats help me when I do not have enough information (replications).